We believe all our customers deserve Double Diamonds full resources and attention, this is why we limit the number of homes we build every year. We do not strive to be the largest home builder, only the best home builder for our clients.We have one mission, this mission is to Over Satisfy our clients. The only way to accomplish this is by exceeding expectations in all aspects of the building process.We invite you to call us with any and all questions, with no cost or obligation. 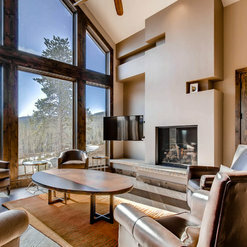 Arnie with Double Diamond Construction is building 20 very high end duplexes that we designed in Shock Hill, Breckenridge, Colorado. He has been doing a fantastic job and exceeding our clients' expectations. Arnie has the ability to think out of the box and has successfully built some very complex homes! We always love to see Arnie in our office! Double Diamond built numerous projects for which I was the architect over the last ten years. 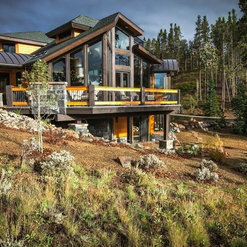 They range from remodel projects to the largest home ever constructed in Breckenridge. 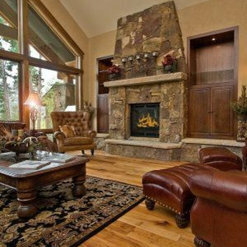 That home in particular required expert coordination and the highest level of craftsmanship. Double Diamond completed these projects to exceptional standards. Furthermore, Arnie and Daniel are great guys to work with. 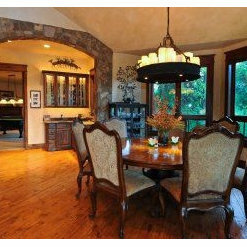 As the owner of Kitchenscapes, a custom cabinetry and design firm, my Team and I work with a number of custom builders in Summit County. We thoroughly enjoy working with Arnie, Daniel, Sam and the Team at Double Diamond, and we are currently collaborating with them on four custom homes in the county. 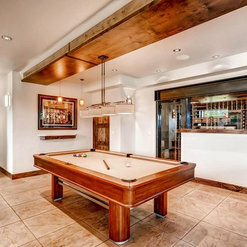 Their love of creating unique custom homes of the highest quality is evident in their strong communication skills, their respect for their clients and their attention to detail. We are proud to be a part of their projects of distinction! Exactly as stated; excellent job; highest recommendation. Having had the opportunity to work with Double Diamond on a variety of projects and with many different clients, I have experienced extreme commitment to detail an true pride in workmanship - the process, the finished product and the service ongoing have been exemplary. Arnie, Daniel and all of their crew can be very proud of their work! Thank you very much for your review. We also have enjoyed working with you in previous projects and look forward to future opportunities to work together again. Outstanding person to work with. great project and great home as a result. Kept me from having to decide the small details I would not understand, but always helpful in deciding big details. Not afraid to say are you sure that is what you want. 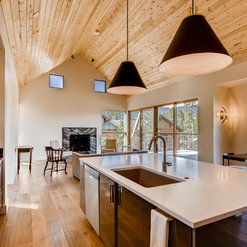 As an architect, I have worked with many builders both in Aspen, and Breckenridge. Arnie and his team were GREAT to work with. A complex / challenging house to build,.......they never complained, just buckled down and made it happen. 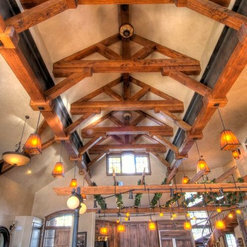 Finish detailing was some of the best I have seen - overall a very successful project. 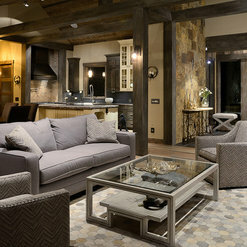 They brought our design to life, and the clients could not be happier. 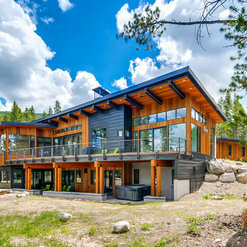 I would recommend Double Diamond for any project where you need a keen builder's eye coupled with meticulous construction,................and they are fun guys to deal with as well. 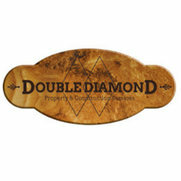 It is a delight to work with Double Diamond Property & Construction. 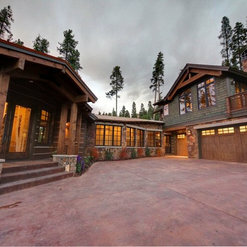 I have designed numerous homes they've built and am impressed wit their exceptional work and quality craftsmanship. They are fair, dependable and strive to satisfy. 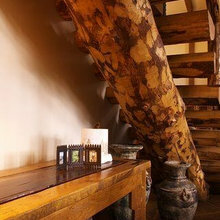 Their attention to detail and quality can be seen in each of their projects. The Hood does not do him justice! I have known Arnie and Double Diamond for over twenty years, and have been directly involved in almost twenty houses with him. 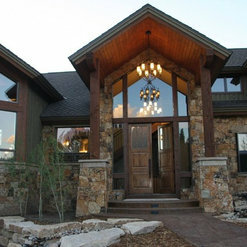 This included our own personal residence, a 6,000 sq.ft build. 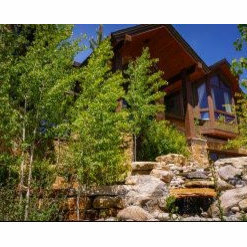 I am a Realtor in a popular destination Ski Town where there is considerable high end custom building product. We routinely see a lot of really nice stuff! My principal input is that I would use Arnie again for my personal residence. That's probably the highest review I can offer... Throughout the process if I were to choose one characteristic of Arnie is his ability to view a situation and see solutions, not problems.